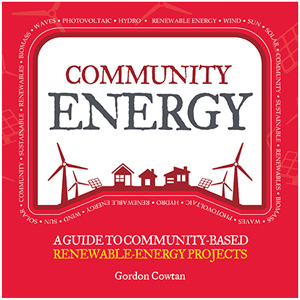 Community Energy: A guide to community based renewable energy projects is the latest large square volume from Transition Books, after similar books on food, homes, money and politics. There are fewer photos here, and it’s less focused on Transition Town initiatives exactly, but it shares the positive, inspiring and can-do tone of the rest of the series. A primer on community energy like this feels overdue really, as it’s an exciting field. Local energy has only become possible with renewables, which can be installed at small scale, so it’s still relatively new – about ten years old. As wind and solar get cheaper the technology opens up all sorts of new opportunities for people to take ownership of their energy supply, and have a stake in their own services. It erodes the power of big energy companies, democratising energy. It’s low carbon, it’s empowering in more ways than one. Unfortunately that vision is rather thwarted by a government that wavers between ambivalence and aversion when it comes to renewable energy. That’s knocked the wind out of the movement in Britain, if you’ll excuse the expression. Tax breaks and incentives have been progressively withdrawn, the goalposts keep moving, and it’s a bold group that takes on a wind power project today. Considering that the government published a strategy paper in 2014 declaring their support for community energy, that’s not so much neglect as betrayal. Gordon Cowtan does his best to avoid the politics, saying the government is “not particularly in tune with the aspirations of community energy”, which is very diplomatic. But there’s still a chapter in the book titled ‘Why is it so difficult?’ While there are no formal statistics, anecdotal evidence suggests that “most community energy projects still fail.” One of the main reasons for that is the uncertainty of government policy, the difficulty of raising funds when long term projections are hard to calculate. As I read the book, I was struck that all the technology is there. The organising frameworks are there, and the desire to make it happen is obvious. What’s missing is the support of government – outside of Scotland at least. In that sense, I hope – in the nicest possible way – that this edition finds itself out of date in the near future, as the climate around community energy changes and more favourable conditions emerge. Gordon Cowtan is a community energy pioneer himself, co-founder of the wind powered Fintry Development Trust. He’s highly informed and familiar with the highs and lows of getting an energy project off the ground, so there’s no better guide to this energy landscape and its unique pitfalls. But he’s not going to tell you what to do. “This book is not intended to provide a recipe for how to run your own community energy project” he writes. “That recipe doesn’t exist.” What we get instead is a broad overview of the movement, the technologies, and government policy. There are notes on financing and legal structures, and the workings of various incentives. If you’ve ever wondered whether there’s something you could do in your community, this will give you the facts you need, both the inspiring ones and the cold hard ones. 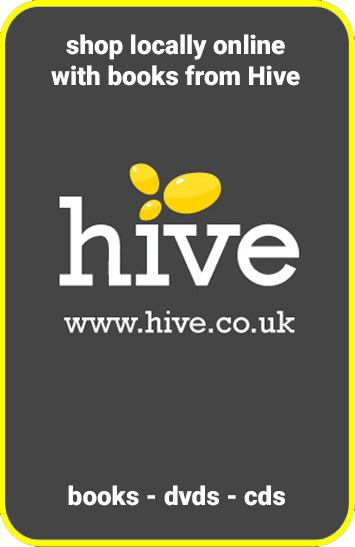 Community Energy is available from Hive Books, Amazon UK or Amazon US. Thanks for the review. I’m definitely interested in reading this one. Have you ever read “The Transition Handbook: From Oil Dependency to Local Resilience” by Rob Hopkins? If not, I would highly recommend it. Yes, I’ve read that one. That’s an inspiring read. You may find this one very UK-centric, just as a word of warning! Previous Entry What can bottle deposit campaigns learn from the plastic bag charge? Next Entry What’s the best time to run your washing machine?